ACA is a community of fee-only financial planners focused on the holistic planning strategies that create true wealth for planners and their clients. The ACA System™ of financial planning has been used successfully for over 30 years with thousands of clients from all income and net worth levels. 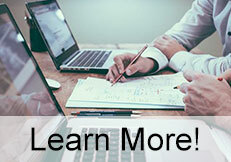 Whether financial planning is your second (or third) career or you are dissatisfied with the growth and direction of your current practice, ACA can provide you with the systems, tools, training, and community support to make a comfortable transition to the practice you've always wanted. Ameritas Advisor Services, a division of Ameritas Life Insurance Corp. - the pioneer of no-load insurance, offers RIAs access to competitive variable life insurance and annuity products with no sales loads or surrender charges. We specialize in helping RIAs implement asset protection and retirement income strategies for their clients. Visit us online, call, or email us, to learn more about how Ameritas Advisor Services can help you add these essential products and services to your fee only practice. fi360 is the world's leading provider of investment-advisor fiduciary training, tools, and resources. Our fiduciary solutions include educational programs, professional certifications, and software for investment analysis, reporting and management. Bob Veres provides cutting edge industry insight with his monthly newsletter and weekly e-messages. 2,000 highly successful professionals subscribe to this service to keep abreast of new ideas, trends and innovations. This is a must if you want to stay ahead of the curve. Kitces.com is a leading dedicated specialist in advanced financial planning content for the financial services industry, providing information to take you to the forefront of financial planning issues and recent developments. Every other month, our electronic newsletter The Kitces Report will bring you critical financial planning developments and cutting-edge technical insights and analyses that benefit your clients and separate you from the competition. Unique in its style, each issue will focus entirely on only one or two topics, to provide the greatest depth of information, analysis, and application. In addition, subscribers to The Kitces Report can also receive 1.5 hours of CFP Board Continuing Education credit for each newsletter issue - a total of 9 hours of CE per year! If you prefer live instruction or direct support, Michael Kitces can consult with you or deliver in-person presentations to your conference or private company event--in 1-hour, 2-hour or half-day formats. Wealth Design Consultants (WDC) assists financial advisors, lawyers, and accountants to design and deliver tax and estate planning strategies for very high net worth individuals and business owners. We serve as a virtual on-demand back office in all aspects of designing, analyzing and illustrating complex cases. WDC offers a range of case planning services from simple stand-alone strategies to comprehensive plans involving numerous interdependent strategies. Since 1996 we have been involved in more than 500 client situations with net worths from $10 Million to well over $300 Million. We collaborate with some of the nations leading legal and financial services professionals. WealthTrace provides web-based financial planning software that has an extremely easy to use, intuitive interface, helping advisors slash the amount of time they spend entering retirement plans. All of the answers to advisor and client questions can be viewed easily on the screen, without having to dig through the report. Even though the software is simple to use, it does not sacrifice analytical power and other useful features. The software provides the following features (in addition to many others): Monte Carlo Analysis, Goals-Based Planning, What-If Scenarios, Client Portal, Vectoring Of Returns And Inflation Through Time, Interactive Charts, Earmarking Of Funds For Goals, Ability To Create Your Own Asset Classes, and Professional Reporting. Because our software is web-based, advisors can use any mobile device they wish, which can be a great way to prospect and create plans on the road. It only takes 30 seconds to sign up for a two week free trial. Sign up today to see just how easy creating financial plans can be.